Well, the time sure flies! 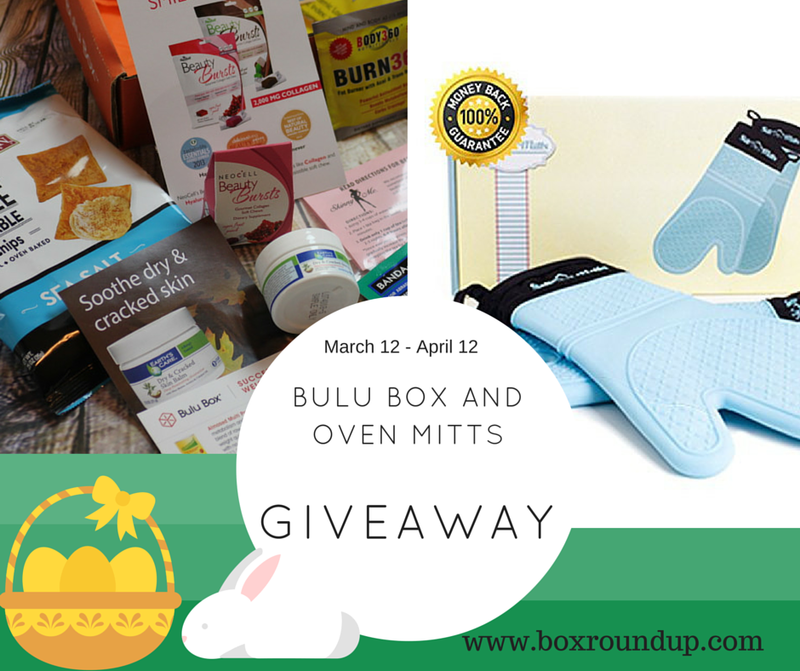 I have reviewed a set of silicone mitts recently on my blog, as well as reviewed a Bulu box that I have received, and have been thinking about setting up a giveaway for these two – and finally it is ready! The total ARV is $25+ for this set, and the winner will receive a box with brand new Silicone mitts and one Bulu box as well! This is a real treat, and I am hoping that it will inspire you to start cooking more healthy meals, and try out to eat clean, and improve your diet. So, here is the giveaway! One winner will receive the two prizes once he/she provides a US residential address and phone number. Box Roundup will be mailing out the silicone mitts, and Bulu Box will be mailing out the box to the winner. Once the prizes are mailed out, there will be substitutions, exchanges, reimbursements or returns. No other bloggers associated with this giveaway are responsible for mailing out the prize. This giveaway is hosted by Box Roundup, co-hosted by IMHO Views, Reviews and Giveaways, Deliciously Savvy and Java John Z. Big thanks to all of the other participating bloggers as well! This giveaway runs till April 12, US only! Samples were provided free of charge to Box Roundup. Hope to see you visiting my site Box Roundup for daily giveaways, freebies, recipe roundups and many more updates and product reviews! Stop by and check out lists of roundups for entering and inspiration! The secret word for Wed. is recipes. Baked Chicken Breast is my go to healthy meal option.